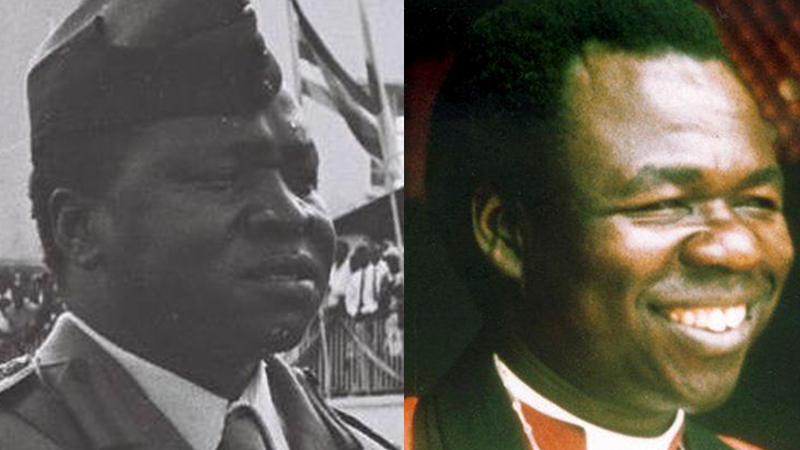 In 1977, Ugandan dictator Idi Amin ordered the killing of Anglican Archbishop Janani Luwum. The family of Archbishop Janani Luwum – the former Primate of what was then the Church of the Province of Uganda, Rwanda, Burundi, and Boga-Zaire – have reconciled with kinsmen of the former Ugandan dictator, Idi Amin, who ordered his killing. Uganda’s Black Star News website reports that Canon Stephen Gelenga, from the same Kakwa tribe of Amin, delivered an emotional apology to Luwum’s family and the people of Acholi tribe during commemoration events recently. “What happened during the reign of Idi Amin, who is my kinsman, we still feel the pain after forty years,” he said. He told the newspaper that Christians from Kakwa met with Archbishop Luwum’s widow at their family home in Wii Gweng where they held prayers together. “Mama Luwum forgave us; we slept at their home, we asked for forgiveness on behalf of the people who sinned,” Gelenga said. In an editorial, the Daily Monitor called for the anniversary of Archbishop Luwum’s assassination – 16 February – to be marked as an annual National Day of Reconciliation. It continues: “We should equally commend the Luwum family and Christians countrywide for genuinely casting off any bitterness and embracing their brethren from Koboko District. The retired Bishop of Busoga, Cyprian Kikuni Bamwoze, who was with Archbishop Luwum when he was martyred, died this month from leukaemia at the Uganda Cancer Institute. At a state funeral on 17 February – attended by President Museveni – the Anglican Primate of Uganda, Archbishop Stanley Ntagali, described him as among the few crop of church leaders who dared speak out for the flock and meant the best for them, in the true sense and word of a shepherd, the Daily Monitor reported. * Anglican Communion News Service, printed with permission.